Taking time away from our daily routines is an invaluable gift for ourselves and those around us! Join me to explore internally through yoga, meditation, breath, and stillness at one of these amazing locations around the world. Mark Your Calendar and stay tuned for all of the delicious details…. 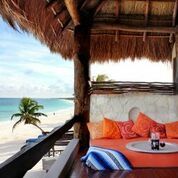 Click here for all the magical D E T A I L S…..
Join Rachael Hunter and Kristin Page for a winter respite in beautiful Tulum, Mexico. 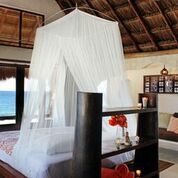 Tulum is renowned for it’s beautiful crystal clear blue waters, bohemian atmosphere and yogic wonderland. 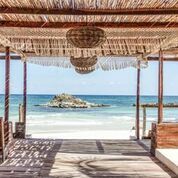 It is the perfect place for a Winter respite, to immerse ourselves in this magical environment with sun, sand, beautiful blue water, deliciously nourishing food and twice daily all-levels yoga and meditation all at the one and only Amansala Eco Resort. Beachside accommodations and private terraces, open air dining and a gorgeous sunset lounge offer a tranquil setting for you to re-set body, mind and spirit.